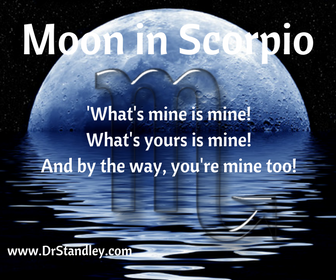 The Moon is in Scorpio until Saturday, November 18, 2017 at 1:59 PM EST. 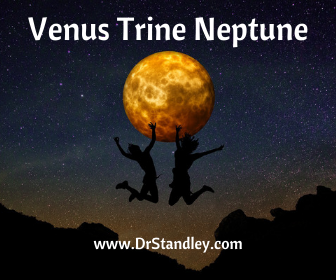 Today we experience one major aspect as Venus trines Neptune taking our head and sticking it right there in the clouds. There is a double-dose of Pisces influence with this aspect because Neptune is the higher octave of Venus, and Neptune is currently in the sign of Pisces its natural ruler. Did you know that the planet Venus is actually cloud-covered planet? Now imagine what Venus looks like when it is taken to a higher level in the form on Neptune. The issue with this placement is that you can have your head so far in the clouds that you are no longer seeing things on a practical level where money or Love are concerned. Maybe you aren't handling your money or practical affairs responsibly because Venus rules personal money and earned income. This aspect jumps over the Moon with Love (or money), while the rest of your Life is being ignored. There is a feeling that Love has been predestined and that you have met your 'soulmate'. Deep spiritual beliefs accompany this aspect because Neptune is the ruler of spiritualism, reflection and subconscious thought. The head can float right up into the clouds under different circumstances for all of us. Stabilize your heart and tether yourself to the ground before you start doing or thinking things that will cause you to float away under your own Love spell and imagination. The Moon is conjunct Jupiter today, which could cause you to be overly generous emotionally and/or financially. Here we go again, feeding the imagination. Man oh' man, this gives legs to our imagination where we go overboard and nothing is too far-fetched. This aspect is generous to a fault where you could end up giving away your electric bill money. This is the aspect in the natal chart that would cause someone to give away all of their money if they came into a windfall. Reel it in folks! If you want to help others, then reel in others to help and make a bigger impact. Do not go it alone with this aspect or you will end up doing it all and then run out of energy once this aspect is over. Venus in Scorpio trine Neptune in Pisces at exactly 10:21 AM EST. This energy will last in separating degrees until Wednesday, November 22, 2017.